I love the Zoella bag, its so cute!! 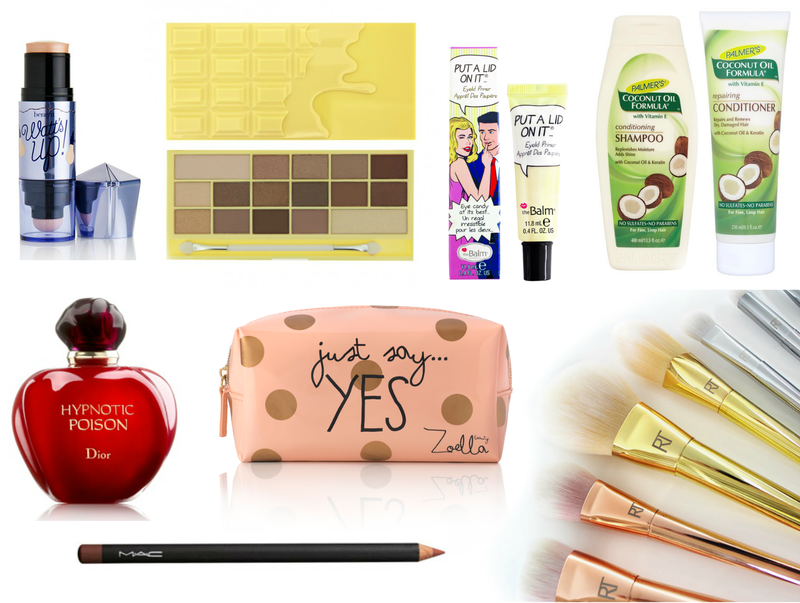 I really want the Makeup Revolution palette and the Zoella makeup bag too! These all seem amazing especially the brushes and palette and that makeup bag is just so lovely. I really want the RT brushes, they're so gorgeous! the bold metal collection is beautiful! i need that zoella makeup bag! The coconut shampoo sounds amazing. Seen so many good reviews about the chocolate palette! Just might have to make a cheeky purchase! I am dying to try the Real Techniques Metal Collection too! I'm not even a Zoella bag but I feel like I need the bag as I just love the motto! I'd love to try some Make Up Revolution products and this palette looks amazing! Cheap Asics Running Shoes same Cheap Asics Running Shoes pun, meaning you do not have kid number, the phone is I, and I back you have returned. Blinked look treacherous, cheap heart slightly Deng, seem to asics factory outlet see the meat Cheap Asics Running Shoes bun really is a dog to eat. You two do not act up, cheap, phone is your right. Do not think I do not see, do not cheap asics lock people as fools. Jensen, an Ohio State University sports marketing instructor. As the company evolves, it must assess what still works and what must change, Jensen said. air jordan shoes australia "Their product line has gotten so diverse," he said. "The sweaty football players in the warehouse is great for compression gear, but they've matured so much. " air jordan australia In recent years, the company has signed marquee professionals such as Brady, Newton, baseball's Bryce Harper and tennis player Andy Murray.